Take advantage of the start of the New Year to give yourself a marketing shake down and refresh. This is the chance to reflect, review, plan and act for success! After my successful New Year Marketing Masterclass, I wanted to share a few tips on how to make 2015 a brilliant year for your business. Step 1 – Evaluate, review & reflect – Look back on last year and properly evaluate your business’ performance, not simply on face value or just on your bank balance, but also in terms of hours spent on each project, difficulties you encountered on any given revenue stream and also the projects that gave you most fulfilment. It’s the right time to reflect if you would be happy to have another year like 2014 or not. If you would, then think how to sustain this positive curve, if not then what should you change for a better result. Step 2 – Plan for Success – Having an in depth marketing plan will help you to clarify your objectives, understand your company, customers and competition and create an action plan for marketing your business with deadlines and people who will be held accountable for the actions. 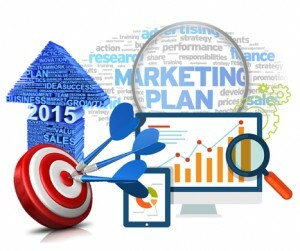 Take the time to make a proper plan if you want to promote your company effectively, it is an invaluable business tool. Step 3 – Work smart – Make the most of your resources and concentrate your efforts on tasks that generate the most income and give you the most satisfaction.